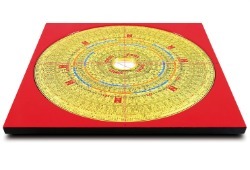 The benefits of good Feng Shui are many and varied. If you are having trouble sleeping, or family life is fraught with difficulties it can transform your home life. If you are working really hard but not reaping the benefit of your efforts or your partner is always out working, improving the Feng Shui can solve the problem. In business properties it will see an improvement in turnover, staff issues and productivity. Often the reason why people have a Feng Shui consultation is because they realise that “something” isn’t right. Feng Shui is the key to re-establishing the balance. Things start to change – it could be a chance meeting of a new partner, a new business contract, or improvements in health. Sometimes its as simple as things not being as much of a struggle. When your environment is in balance other pieces of the jigsaw of life start to slot into place. If you would like to have a no obligation chat about how Feng Shui could make a difference in your life please fill in the form below or give me a call on 07974 350459.